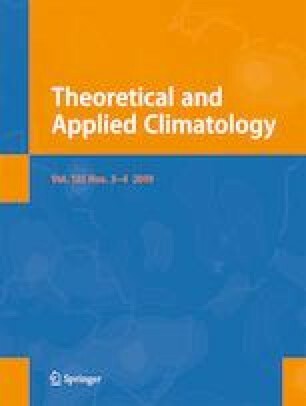 The climatological means and surface air temperature (SAT) trends of the Indochina Peninsula (ICP) are being analyzed on a yearly and seasonal basis using a newly published observation dataset (SA-OBS). The SAT for the period 1981 to 2010 shows a north-south gradient over the ICP, with the highest mean annual temperature in the central plain and the lowest in the northern mountain region. In addition, over the past 30 years, the ICP has been undergoing a significant warming trend of 0.37 °C/decade. The seasonal mean SAT fluctuations are significant in the dry seasons compared to the wet seasons, with a rapid increase in JFM (January to March) and OND (October to December). Further, comparisons are made using SA-OBS and the other observation (CRU, GHCN_CAMS, DEL) or reanalysis (ERA-20C, CERA-20C, ERA-Interim, JRA-55) datasets. The result shows (i) that the SA-OBS dataset can capture the spatial distributions and temporal patterns reasonably well throughout the ICP on annual and seasonal scales. (ii) CERA-20C is very similar to SA-OBS in replicating the annual mean SAT over the ICP, suggesting that the ECMWF’s coupled data assimilation system (CERA) could obviously improve the temperature estimates in that region. (iii) That significant differences, however, still exist between observations and reanalyses in annual and seasonal trends. These discrepancies need to be taken into account to study climate change and variability or to assess regional climate models with focus on the ICP. This study acknowledges the support of the National Natural Science Foundation of China (91537214, 41575104), the Max Planck Fellow Group, the Scientific Research Foundation of Chengdu University of Information Technology (KYTZ201730), the Open Research Fund Program of Plateau Atmosphere and Environment Key Laboratory of Sichuan Province (PAEKL-2018-Y1), and the Priority Academic Program Development of Jiangsu Higher Education Institutions (PAPD).